Mystical Island of Morea. Once considered the spiritual center of the Tahitian archipelago. 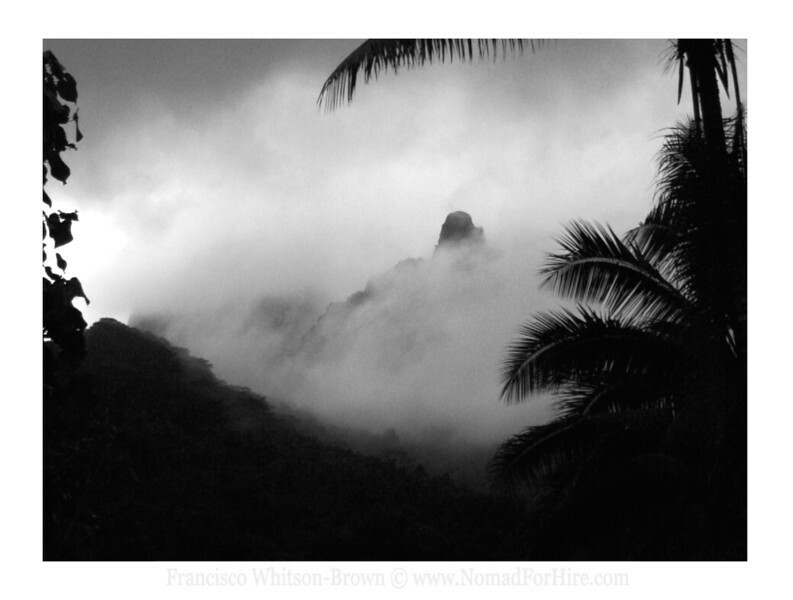 Fog rolls in, veiling ancient stone ruins that can still be found buried underneath centuries of jungle. French Polynesia. I feel like I was there with you. You do amamzing work.